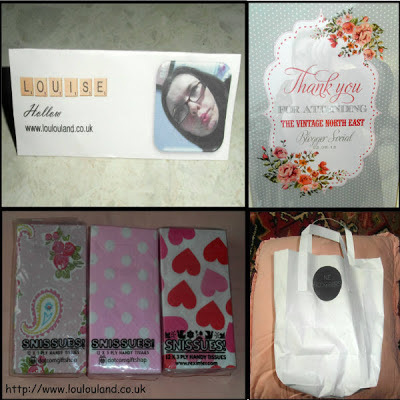 It's hard to believe that it's been a week, but last Sunday I attended The North East Bloggers Vintage Social. 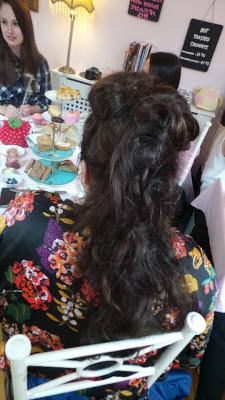 Myself and 24 other bloggers, and our hosts braved the thunderstorms and torrential rain to meet up for an afternoon of tea, cakes and fun, at Serendipity Tea And Trinkets in Sunderland. and the cutest knitted tea cosies, and cakes. We were given a brief introduction from the ladies behind The North East bloggers, but this event was basically about communicating, getting to know each and having fun with our fellow bloggers, so there was loads of time to chat, and play with some of the props that had been provided - thanks to Katie for the picture of moi! I think I'm going to put a ribbon on the back so I can hang it up - so cute! I really love quirky things like this and I can definitely see myself keeping an eye on Gemma's work especially since the word CAT has been mentioned ;) To find out more about Senor Picklesworth, and Gemma's custom design work you can find here website here. This event was all about supporting the North East so also in attendance was Jonathan Pickup from JPHair in Sunderland, we'd been warned before the event not to do anything to our hair and this was the reason. If we wanted we could get our hair put up in a vintage style - why not I thought? 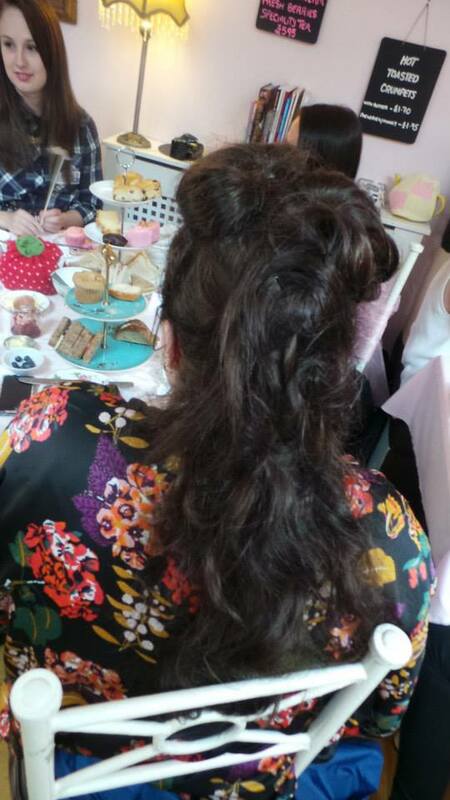 it was already soaked from the rain so I went for it, 20 minutes or so, lots of hair grips, and half a can of hairspray later this was the result - a mass of rolls, and pin curls. Okay it's not something I would personally wear everyday but it just gives you an insight into how much time women used to spend on their hair, and we think we're high maintenance now! Alas not everybody managed to get it done because of the time it took which was a shame. We then played a round of the Who Am I Game (Katy, Shannon and Amy demonstrating) which was ridiculously funny, and then the raffle was drawn - I was lucky enough to win some super cute paper hankies which were almost too cute to use, and on the way out we received some super cute goodie bags, with a Benefit sample, a nail polish and a bag of retro sweets courtesy of local sweet shop Sweet Home Alabama -ahh Fruit Salads!! It was great meeting you last week. Hopefully next time we meet we'll get more of a chance to chat! It's looks so much fun wish i could have went. Loving the hair styling you suit it a lot.